In order for an individual or a society to reach its potential, it must continuously grow and develop. That requires consistent, methodical exposure to new ideas. Unfortunately, many people have arrested their development by remaining within their status quos. 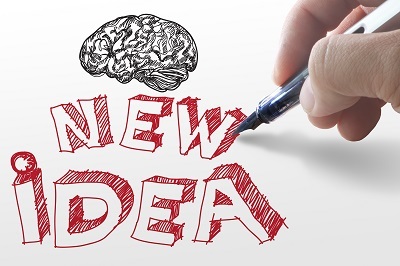 Do You Feel Threatened by NEW IDEAS? We all try to make sense of the world and our lives within it by forming conclusions about the world. For example, we have probably all concluded that the sun rises in the East every morning and that our mothers love us. We assemble these conclusions gradually over time and eventually consolidate them into a set of beliefs we call a world-view. All of this generally takes place on a sub-conscious level. Without these conclusions, we would have a very difficult time getting through every day. We’ve formed some of these conclusions because we’ve observed them in nature. The sunrise in the East is one example. Others, particularly in the realm of politics and religion, have generally been taught to us in our formative years. They are beliefs, as opposed to observations of natural phenomenon, and we believe them because we’ve been told to. At some point in our development, we have formed beliefs about most of the important things in our lives. It’s then that our maturation process dictates that, to continue to grow, we must replace some previously held belief with a different one. For example, we may have attended a socialist-oriented university and been taught that capitalism is evil. When we get out into the real world, we discover that it provides us with a job and opportunities, and we revise our beliefs. We’ve replaced one belief with another. And, human beings have the capacity to think and grow for their entire lifetime, although few actually do. What seems to happen most frequently is that people level off at some point in this process and stop growing. We are all familiar with the common belief that the older a person becomes, the more ‘set in his ways’ he/she becomes. In other words, the less likely they will challenge their beliefs. As a veteran sales trainer, I can personally vouch for the idea that the older salespeople are generally the most difficult to change. But, resistance to growth doesn’t have to be an age-related phenomenon. We all know people who have arrested in their development somewhere along the line. This can happen to a 20-something as easily as to a 60- something. It’s unfortunate for the individual. It robs them of a fuller and more complete life, of enriching discoveries and relationships, and often of economic enhancement. In other words, when someone stops growing, they stop expanding their spheres of relationships and become limited to the group of folks they have known. They often plateau at an economic level, as they no longer learn new job skills or seek new opportunities. The boundaries around their lives become rigid, and they fence themselves into a shrinking, not expanding, world. While arrested development of an individual is sad, when it becomes more common in a group, it becomes a danger to society. Just as the boundaries of an individual grow more limited when he/she stops growing, so too does the society at large. One of the essential ingredients for growth and development is the continuous exposure to new ideas and new experiences. When we entertain ideas from those who don’t believe exactly what we believe, it helps us confirm or question our own beliefs, leads to a greater understanding of others, stretches our psyche and develops us into a more complete human being. In our college-student example, above, it took the exposure to the real world economic experiences to change the recent graduate’s beliefs. If she remained cloistered in the university cocoon, she would likely have never changed her belief. It took the exposure to a new experience and new idea to cause a change in belief. We couldn’t help but feel for him. He had been led to believe a lie, and that belief shaped his actions and his attitudes and organized his life. Now, at an age where there was little to be done about it, he regretted his life lived in accordance with a belief that turned out to be false. The entire country was deceived by a dictator eager to stay in power. There was a reason why it was the most closed society on earth at the time. New ideas would threaten the movers and shakers. While not nearly as poignant and heartbreaking as John’s experience, we all allow the same thing – false beliefs – to impact our thinking and, therefore, our businesses and our lives. Exposure to new ideas and new experiences is so fundamental to human growth and development that it can be used as a gauge for the growth that follows. Where there is widespread and continuous exposure to new ideas and experiences, people grow. Where there isn’t, they don’t. At some point in our development, we become afraid of new experiences and new ideas. We may not be aware of that fear, but it is still the source of avoidance. We get to the point where we value what we have and want to protect it. That can be the physical things like our homes and our jobs, or it can be the image of ourselves that has taken us some time to develop. In my work with salespeople, I see this fear take the form of fear of exposure. They have developed an image of themselves as somewhat knowledgeable and competent and are afraid that new ideas and experiences may expose them as less competent than they want to think they are. The way to avoid that potential exposure is to fend off the new idea. Very few people will admit to being afraid. Normally, this takes the form of excuses which absolve them of having to confront new ideas: “I’m too busy.” Or “I already knew that.” Or, “I have my own system.” All of these are fear-based attempts to defer being confronted with new ideas. Of course, fear can manifest in ways other than fear of exposure. I see more and more commonly today the fear of rejection as being a ubiquitous reason for people to avoid new ideas. This fear says that if I encounter a different idea, I may be somehow changed by it. And that will place me outside the pack. Better to go along with the crowd and avoid contact with any new idea. As I am writing this, the news is full of a well-known actor shouting “F.. Trump,” and the Hollywood elite giving him a standing ovation. That’s a great example of the pack mentality. The college kids who shout down a speaker with a point of view different from that which they have been taught provide another example of arrested development motivated by fear. In these, and multiple other examples, to actually consider an idea outside of those accepted by your pack might put you outside it. That is to be feared. Better to just go along with the crowd. Face it, it is harder to make changes then it is to remain in the status quo. It takes time, energy and often intentionality to confront a new idea, learn from that and roll it into your routines. It is far easier to just not bother. Some people just don’t have the motivation or energy to change, and thus avoid new ideas because they are lazy. This can be a combination of the two mentioned above. Frequently, people develop to the point where life is good. They have a comfortable income level, their family is settled, their job is well in hand. They are comfortable. That contentment serves as a counterweight to the prospect of encountering new ideas. Better to just hang around with the people with whom you are comfortable and to remain with the ideas that have worked thus far for you. I’m going to drill deeply into this in the next article. For now, I have observed that much arrested development is brought by other people who have a vested interest in confining you within the constraints of a belief system. 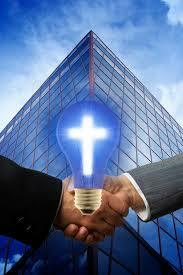 Typically, when you accept their belief system, you are then cut off any ideas that oppose it. People who continue to grow and develop their entire life are those who actively seek out new ideas; they are unafraid of the potential challenges to the status quo. They are comfortable enough with themselves to take the risk. One of my clients, the owner of a small business, ‘tries to have lunch once a month with a good thinker from outside the industry.’ In so doing, he methodically encounters new ideas. Business executives and salespeople who regularly buy the books, download the podcasts and attend the seminars and conferences. Exposing yourself to experts or those who have deeply studied an issue is a time-tested way to encounter new ideas. Housewives who read the magazines, search the internet and talk to other folks to gain new ideas on their issues. The world is full of good ideas, and by seeking them out, you find them. Students who attend the occasional class taught by someone at the opposite end of the political spectrum. The courage to listen to someone with whom you may disagree with seems like a rare commodity these days. While the trend in our society is toward more and more mindlessness, if you are going to continue to grow and develop and come close to achieving the potential you have, you must actively seek out new ideas and new experiences. That is just as true for organizations and societies as it is for individuals. When we, as a society, aggressively avoid new ideas and new experiences, we arrest the development of the society and put it at risk.